FAB VIDEO: Toke Makinwa: Ex-Factor. Does Your Ex Want You Back? 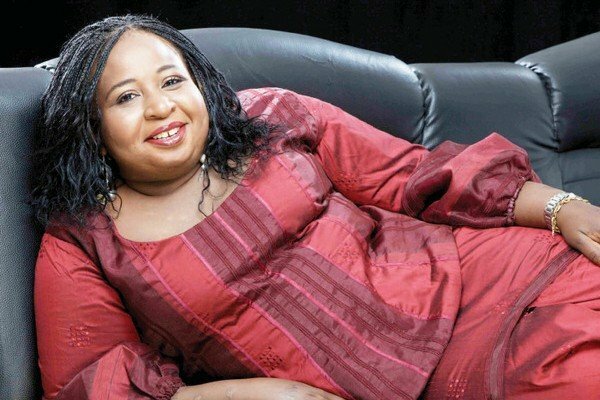 Peace Anyiam Osigwe is the Chief Executive of the prestigious Africa Movie Academy Awards (AMAA). She is strong woman of many accolades in Africa’s creative industry, holds a Bachelor of Arts Degree in Law and Political Science from the Oxford Brookes University, UK and a member of the Honourable Society of the Inner Temple for Barristers. She is also a poet and writer of international repute with three highly regarded poetry books to her credit. 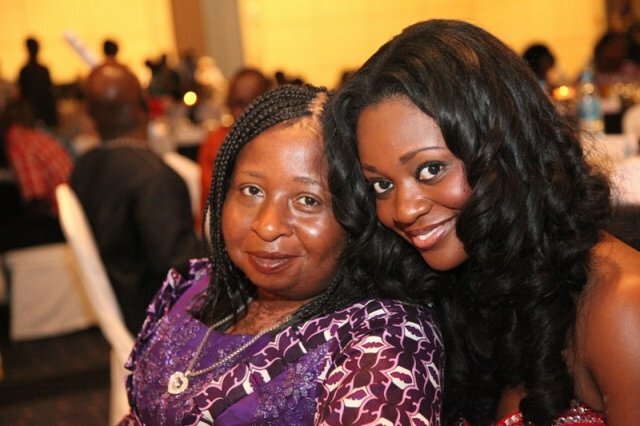 Her ‘baby’, the AMAA, is entering its 10th anniversary this year and Peace has spoken to NEWS-ONE’s Francis Addo. Who is Peace Anyiam Osigwe? Currently the CEO of the Africa Movie Academy, I am from Imo State. I am the only girl among seven elder brothers by my lovely parents, Mr. and Mrs. Osigwe. My dad, Mr. Emmanuel Onyechere Anyiam Osigwe was my best friend. He made me independent and drew me closer to God. I partially grew up here in Africa and the West. I spent 27 years of my life in the UK. I attended Marymount International School in the UK and then to Cranborne Chase School before entering the Oxford Brookes University. I used to be extremely close to my dad even though he is late. He took good care of me and provided me with all the love a daughter deserves from a father. I feel his presence in any thing I do. When the going gets tough and I don’t know where to turn to, when I go on my knees and pray to God, I also call my dad and ask him to also knock on heaven’s doors on my behalf. What was your reason for establishing the AMAA? I always hold my passion and determination to succeed in whatever I do. I am not doing AMAA for self aggrandizement. No, I have been there before.AMAA for me has been a passion. The organization of AMAA is to celebrate Africans. There was a need to celebrate ourselves because Africa has a way of not celebrating itself. We always look at the outside world and try to celebrate them. That is not the way to go. So the main reason that I set AMAA up was to celebrate us, as filmmakers from Africa. Beyond celebrating Africans and filmmakers, what does the continent stand to gain from AMAA? Having lived in the UK for over 27 years of my life, I have come to know that it is very difficult for black filmmakers to get access to any funding…The African film academy’s main objective is christening the African creative industries as an economic world force that should be recognized by Hollywood, Bollywood and any wood that you want to know. This includes our sisters and brothers from the Diaspora, the Caribbean island and everybody. By the time you knuckle us all together and put us into an economic vibrancy that means that if you shoot a film, it will be readily acceptable in the UK, USA, the Caribbean Island, Australia, Brazil, Haiti and more. By the time we join the countries together, we will gain the respect of the world economically. Have Africans accepted the AMAA? Internationally, yes, AMAA is accepted. It is the award that the international community recognizes for Africans, mainly because of the kind of jury we have had at the AMAA. Secondly, these are people that create African cinema across the world. I think AMAA has raised the profile of African cinema and Nollywood breakthrough into mainstream international film festivals. There is being a lot of work that AMAA does that most people don’t even know. What has AMAA been doing that we don’t know of? We train people. In the last one year AMAA personally trained almost four thousand (4000) youths in filmmaking across the whole of South Africa. That includes countries like Malawi, Namibia, South Africa and others. This is something I am totally committed to. Part of my reasons, to step down as AMAA CEO, is to enable me to concentrate my energy on building the distribution platform and the new filmmakers of Africa. My business partners are also building cinemas to help improve cinema so that people get to see the African films we reward. What are your plans for 2014 AMAA? Obviously we are going to try to make sure this 10th anniversary is one hundred and ten times better than last year and be the best that AMAA has been able to offer in terms of organization and logistics. This year we are celebrating all the past winners. In every year we had best director, best actress, best actor, and best film and others. And so we are doing the best of the best in Africa in the last 10years. People will be voting for them. Each of the winners will get 10,000 dollars. It is a way of rewarding past winners of AMAA. Is AMAA going back to Bayelsa State where the award is usually organized? The government of Bayelsa State stood by us over the years when AMAA was a piece of paper. All manner of people had attacked me this year, when I said we were going back to Bayelsa for 10th anniversary. People said why, after everything that happened last year, how can we go back there? But I like to say when AMAA was a dream on a piece of paper somebody bought that dream and said, ‘ok I will give it a chance.’ There were problems last year; yes, I agree, but even though I don’t practice law, I do know there is one law in equity called equity does not assist a volunteer, Bayelsa deserves the 10 years of AMAA for that support in creating what is probably world recognized African brand, regardless of whatever comes up and whatever kind of stuff they do. At the end of the day AMAA would still remain AMAA and will continue to have its pride of place on the international scale. Is AMAA a Nigerian event? People always like to be funny about Nigerians…Nigeria is one country where, we accept everybody. Nigeria is a not against any African country. Everybody is living here. Most people living here who are not even Nigerians carry Nigerian passports. It doesn’t make it right or wrong. But what I am trying to say is that Nigeria is a very conducive place for Africa to be together. People just wanted to look at AMAA as Nigerian event but it is not. Are we likely to see AMAA’s main event out of Nigeria? This is where the whole idea of whom we are as Africans come in. I have been rotating the AMAA nominations across the continent. AMAA costs a lot of money to do. Let me give you an example. Let’s say we have 20 people from Ghana coming for the AMAA, the average ticket for that number is about 10, 000 dollars that’s even when we booked early. We do same for other Africans from other countries that come for the AMAA. That is just the arrival to Lagos, not even to Port Harcourt. It is expensive and not many African countries can afford that. I keep saying it does not matter where it is held. It can be held in Ghana. It is about Africans and believing in ourselves irrespective of where it is organized. I hear people say AMAA is about you? Really? For a child that wrote her first article at age nine that was published, had her own magazine in the UK by the time she was 16 years, had her own talk show by the time she was 18 years, there isn’t much more that I need anybody to celebrate me for. AMAA is not about me, Peace. It is about celebrating African filmmakers. AMAA is not Peace. Peace is just one person that founded the idea. AMAA has exceeded Peace. AMAA has an Advisory Board that has people like Danny Glover. It is not about me. How do you take the annual criticisms? Well, I am a writer, I get criticized and I move on. I learn from every mistake I make. Life is not a bed of roses; life is not a swift journey. Every day, as things happen, you learn. I like to see more unity in the African creative economy. I don’t let the criticisms bother me. 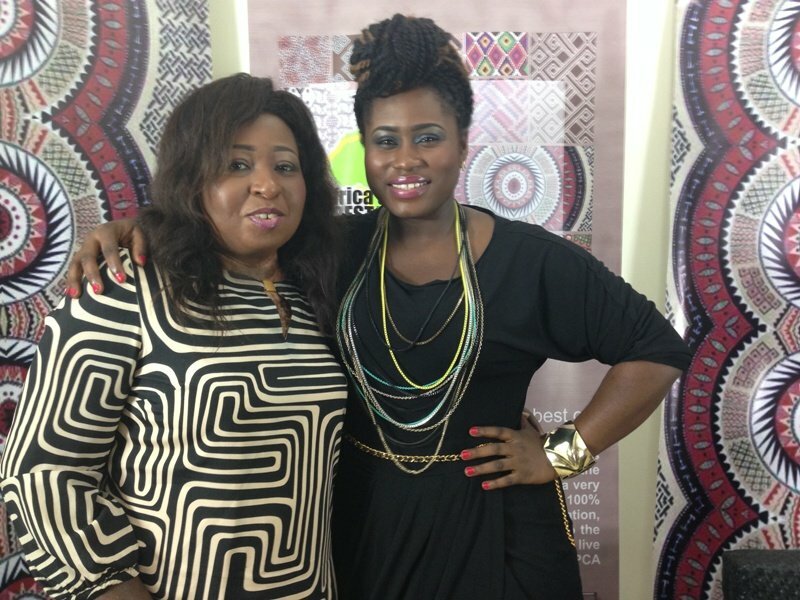 How did Lydia Forson become AMAA Brand Ambassador? Lydia Forson taught me something last year. It is nice to know that somebody can stay afar and appraise you. It makes me understand and appreciate that even the people who I expected to understand what I am doing are not but other people are. Jackie was also there that day and she talked about how AMAA affected her life positively. Why we chose Lydia to be AMAA Ambassador? It is because you don’t need to tell Lydia what to say about AMAA. I am not feeding her any information and that is the most important thing. I don’t want anybody who is going to repeat after me. She speaks from her heart. She criticizes, she tells us where we have gone wrong and that is a beautiful thing. I love criticism. If I live in this world and people always tell me how nice I am, that will be weird. How lucrative is the AMAA? It is not a money spinning entity and if anybody reads the first article or interview I ever wrote on AMAA, I said AMAA would not start getting it financially till its 10th year. People were like, ‘why?’ I said because it takes time to build a brand and then to build the brand that would now become acceptable. AMAA is still a toddler, we still learning the rudiments, there is too much to learn. But what people don’t see is what we are trying to do. It is beyond the AMAA. How do you see the AMAA? The Africa Film Academy sees itself as a lobby group that works with different African countries, encouraging the usage of motion pictures to change the story of Africa to the world, by teaching them how to make films that show themselves in the positive light, so that we don’t continually have negative images of Africa on daily basis and hourly basis. You tune in and you see starving African children or draught or polio or HIV and AIDS. But such things are all over the world. There are people who sleep homeless in New York, and there are people who sleep homeless in London. I mean it is not a big deal, actually I feel it is even better when it’s to Africans looking after its own. What are the core challenges AMAA faces? That will be funding. If AMAA is getting the necessary support and funding from the corporate world that it is supposed to get then it wouldn’t be where it is today. Also the biggest frustrations are Africans who don’t respect themselves and we don’t encourage each other. The creative communities in Africa don’t appreciate each other. They are always looking for reasons to find fault with anything and everything. But nothing really breaks me down because AMAA, for me, has been a passion. Did you anticipate AMAA coming this far? I didn’t see AMAA growing big as it did in a short time but it did and with all humility to God almighty. He alone knows how He drove it to where it is today. It is not by might. It is not by strength but it is God. Has AMAA helped tell Africa’s story so far? Still work in progress. I like people like Tunde Kelani. I like Shirley Frimpong’s work, Leila Djansi, Kunle Afolayan and others. But sometimes I feel we need to tell the authentic African stories; that way, you make a difference. Secondly, Africans should respect themselves and value what they have.